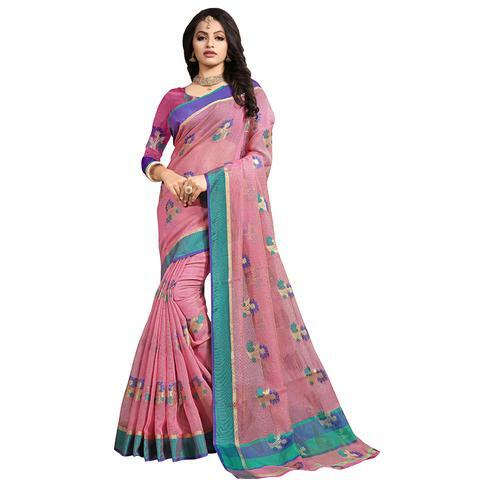 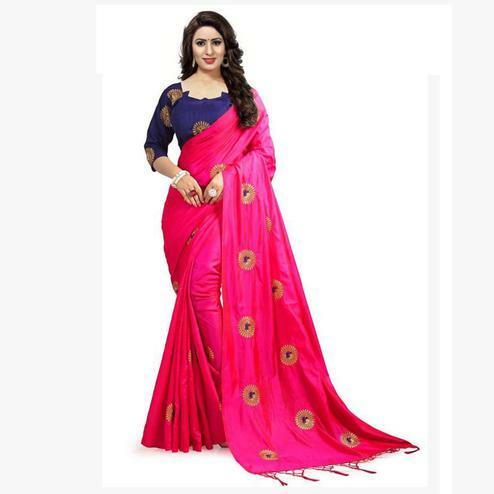 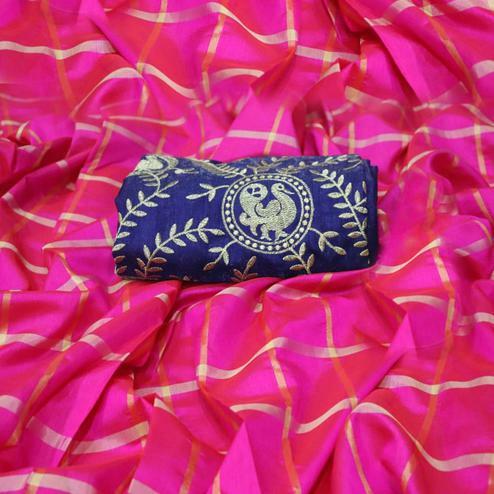 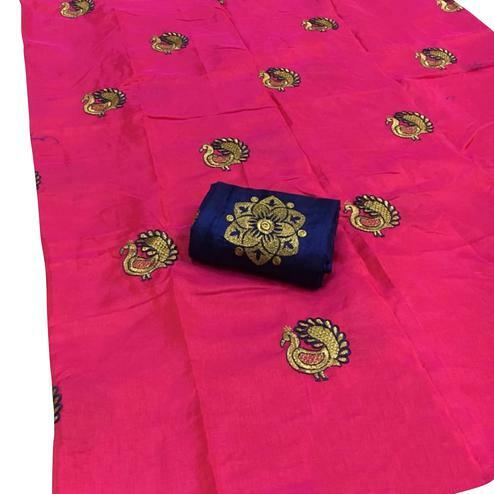 Get a simple & sober look for your upcoming traditional function with this pink art silk saree. 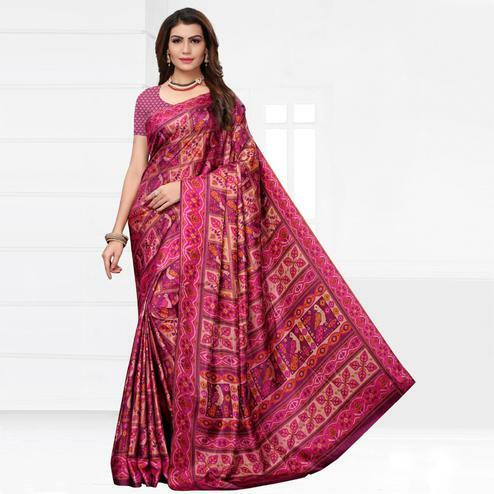 This weaving work saree has got paan design butti, geometric stripes & traditional design border, which provides the wearer a perfect ethnic look. 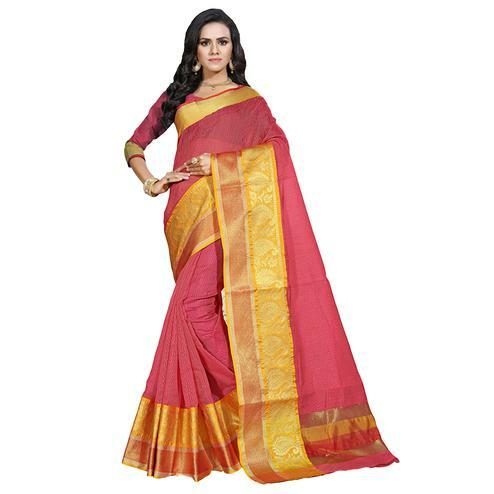 You can wear this saree for functions & festivals. 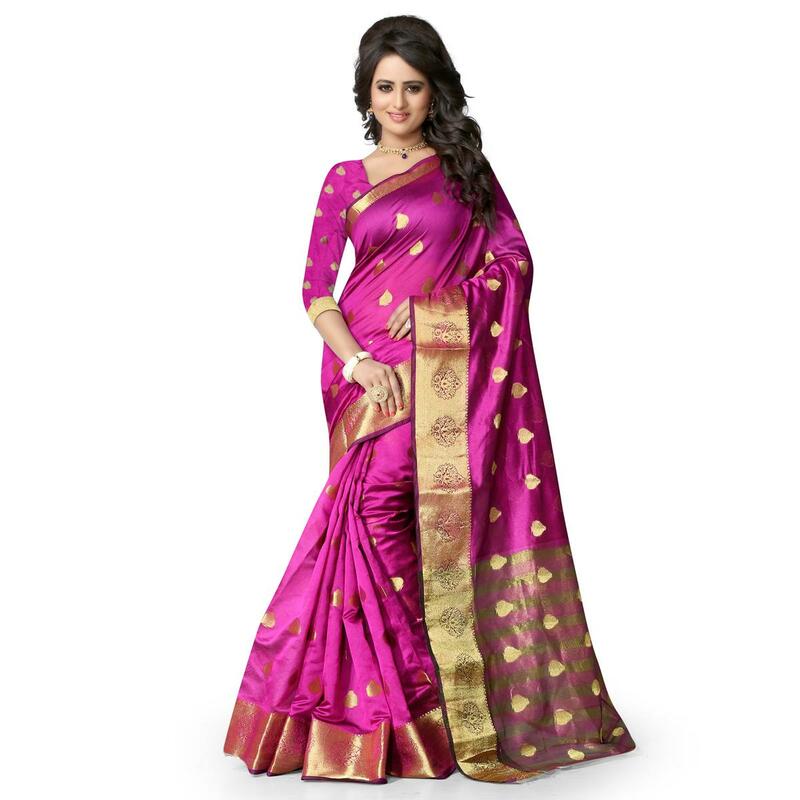 Saree paired with matching fabric blouse piece.